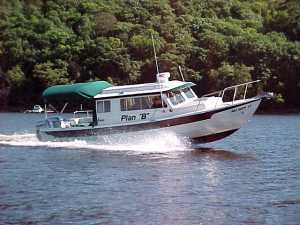 -----One of the great benefits of owning a C-Dory is the fellowship that is shared through the gatherings and tandem cruising with other owners. 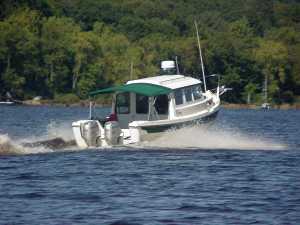 The C-Dory owners Internet Site is the home for owners of these fine boats. Here one shares and learns with and from each other. 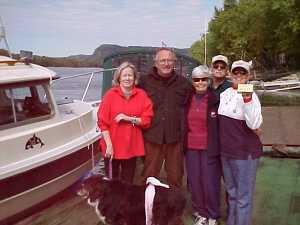 Regional Owner's Pack Gatherings or tandem cruising plans are organized on line. 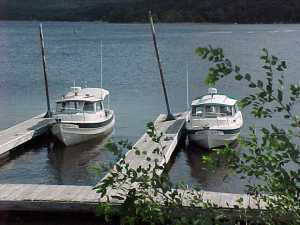 -----We have met and cruised with owners in Oregon, Nevada, Texas, Alabama, Florida,Kentucky, Virginia, Maryland, New Jersey, New York, Minnesota, Wisconsin, Iowa, Illinois, and Maine. 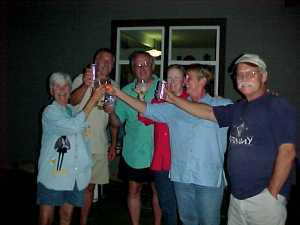 i-----This is a photo story of the First Mid-West Gathering. 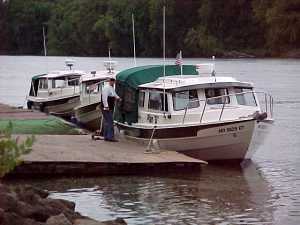 -----With the shortening of days in September, a small pack of C-Dory owners gathered in the St. Paul area. 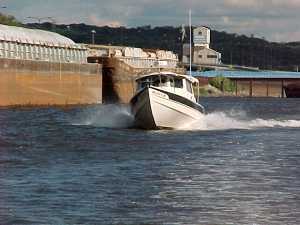 We cruised the St. Croix River and the Upper Mississippi, gathering boats and folks as we went along. 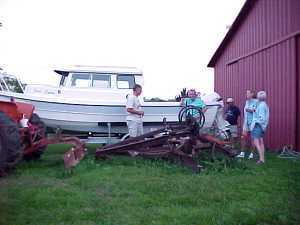 -----On the evening of September 29, 2002, eight C-Dory owners gathered at the beautiful farm house belonging to Paul and Joni. 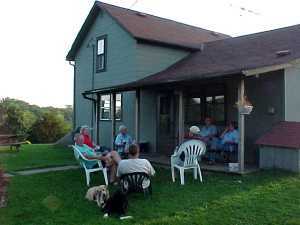 The homestead is located high on the edge of the bluff that bounds the Wisconsin shore of the Mississippi River, due east from Dubuque, Iowa. 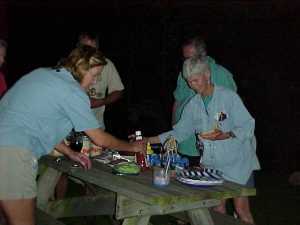 Joni and Paul were marvelous hosts, with a big cooler full of libations (ever hear of Leinenkugel's?) 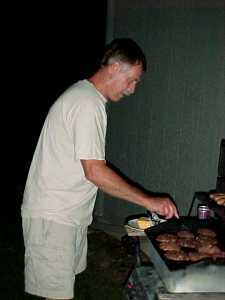 and a grill loaded with hamburgers and brats (no, not the kids, the Wisconsin State Sausage). 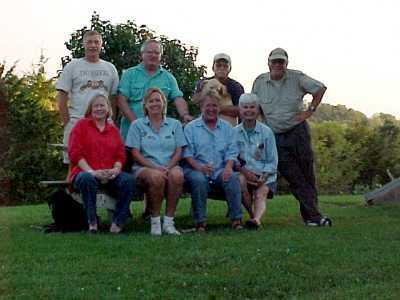 The air was full of laughter, good stories, and marvelous odors. What a memorable night for all! 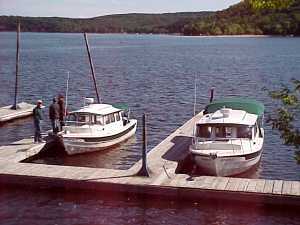 Orca, Halcyon and Halcyon and Plan "B", on the St. Croix River.